When it comes to printing comics there are two main methods used: Offset printing and Digital printing. Digital printers work like your home computers. They print with toners as opposed to ink which leads to a lower quality compared to offset printers. They do require very little input to start working though. You just need to provide your print ready files and you’re good to go. Because of this, digital printers have a very low setup fee. The majority of the cost comes from the actual pages themselves. Each page has a fixed cost meaning you can’t save money by printing more books (unless the printer you’re going with offers you a deal). Going from 10 books to 20 books costs the same as going from 70 to 80. This leads to per book costs being higher compared to offset printers. On the flip side, the low setup fee also means you can easily print a single book whenever you need. This works fantastically for when you need a proof copy of your book (to make sure everything looks good before you order the full set of printed books). It’s also great for Print On Demand options. POD is when you, instead of printing, say, 100 copies of your comic in advance, print comics one at a time as they’re bought. POD is often used when you’re only selling a few copies of your book every once in awhile and so it’s not worth it to do a complete print run. Offset printers use printing plates to spread their ink on the pages. Here’s a short video describing the whole process. 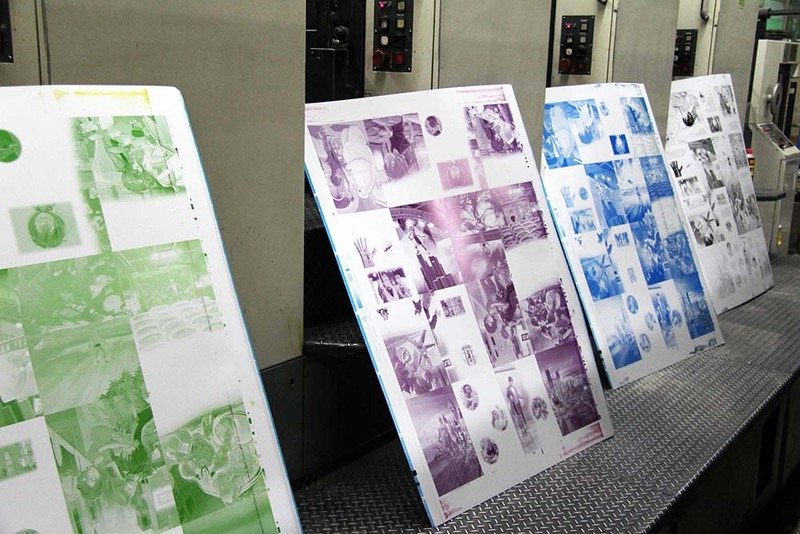 Each printing plate prints a single colour (one of C, M, Y, or K) and so to print a page in colour, you need four plates. Plates are expensive and compose the majority of the cost of offset printing. Once the plates are setup however, printing is extremely cheap. This means that offset printing has a high setup cost but a low actual printing cost. The more books you print, the lower the per book cost. Going from 250 to 500 books costs you more per book than going from 500 to 750. The high cost of setup also means it’s much more costly to do any kind of proof work on your books and it’s far less effective for any POD sales. That said, offset printing gives the highest quality prints and allows for more flexibility in the paper types and coatings you want to use. If it isn’t obvious already, the printer you choose depends on what you want out of your product. You’ll have to weigh costs against numbers and page quality and ultimately that decision is up to you. Yeah I get that but I’m not printer savvy so just give me an answer! If you’re doing a small run (25-250 copies) or are taking a POD approach, I suggest you go with a digital printer. If you need higher quality pages or are doing a larger print run (500+ copies) go with an offset printer.